Android is known for its endless customization options. For example, you can install custom ROM to change the entire interface. Therefore, we have decided to share you some of the best apps that will help you to customize your Android smartphone. Well, Android is right now the most popular mobile operating system that’s now used by millions of users. In fact, a majority of smartphones coming nowadays are powered by Android. Since its based on Linux and its open source by nature, we can customize each and every aspect of our device. In fact, Android is known for its endless customization options. For example, you can install custom ROM to change the entire interface. Similarly, there are lots of apps available on the Google Play Store which you can use to customize your phone the way you want. Therefore, we have decided to share you some of the best apps that will help you to customize your Android smartphone. It’s worth to note that some of the customization apps need root access to work, while others can run on a non-rooted smartphone. So, let’s check out some of the best apps to customize your Android smartphone. Well, Launcher apps are something which can transform the look of your Android smartphone. There are thousands of Android Launcher app available on the Google Play Store and each of them comes with its own unique sets of features. You can install Nova Launcher to customize your Android because it provides users with lots of customization options. With Nova Launcher, you can add transition effects, add new icons, add your own text, etc. Well, just like Android Launchers, there are hundreds of Icon Packs available on the Google Play Store. After installing a launcher, the next thing that you will probably need is an icon pack because any launcher is incomplete if your home screen shows the old icons. You can use Polygon Icon pack to customize your Android’s app icons. Well, Zooper Widget is a battery friendly DIY widget app that offers lots of features. With Zooper Widget, you can create custom widgets as per your needs. The app offers lots of Widget templates which you can use to create different types of widgets like Clock Widget, Date Widget, etc. The best thing about Zooper Widget is that it offers a WYSIWYG editor with layers like photoshop. As the name of the app says, Navbar Apps allows users to do lots of customizations on the navigation bar. The app also allows users to show the battery percentage right on the navigation bar itself. Apart from that, you can also use your own images on the navbar. So, Navbar Apps is another best app that you can use to customize your Android smartphone. 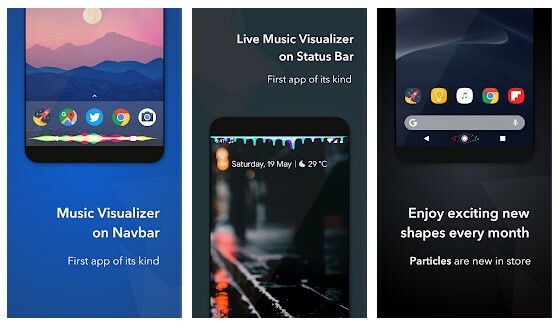 Muviz is another best Android customization app which you can use to customize your Android’s navigation bar. 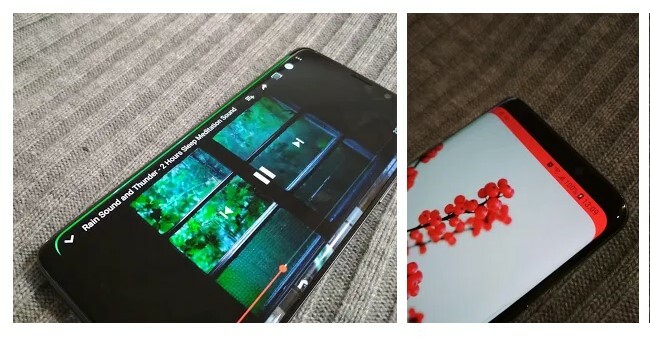 Well, Muviz adds a music visualizer right on your Android’s navigation bar. In fact, it replaces the default navigation bar with music visualization station. Not just that, but Muviz also offers multiple styles of music equalizer bars. So, Muviz is definitely the best Android customization app that everyone would love to have. Energy Bar adds a battery level indicated right on the top of your screen. The great thing about Energy bar is that it works on non-rooted Android smartphone and it displays some of the crucial information regarding the Android’s battery. For example, the battery indicator will show you how much time is left, how much the battery has been charged, etc. 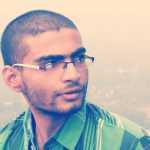 So, Energy Bar is another best Android customization app that you can use today. Well, Material Notification Shade replaces the stock notification panel without having the root access. 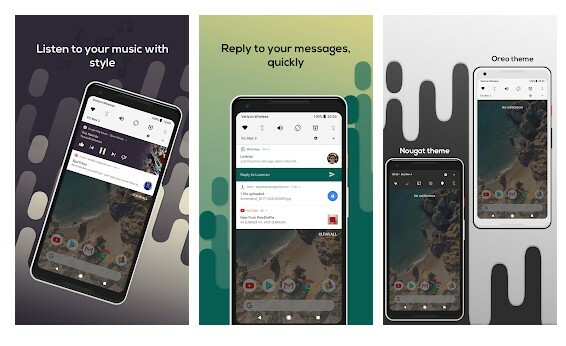 Material Notification Shade is heavily inspired by Android 8.0 Oreo and it offers multiple Notification panel themes like Light, colored, and Dark. Not just that, but Material Notification Shade also allows users to customize the notification panel like you can add your custom quick settings menu. Do you like the rounded corners of LG G6 and Samsung Galaxy S8? If yes, then Rounded Corner might be the app you are looking for. Rounded Corner for Android adds rounded corners to your screen. Not just that, but the app also allows users to customize the corner’s radius, corner color, etc. So, Rounded Corner is another best Android customization app that you can use today. Well, PowerLine can make your Android device look different. The app is pretty much similar to the Energy bar which has been listed in the article. But, it does more than what Energy Bar does. It allows users to add Battery, CPU, Memory, Signal, WiFi indicators right on the status bar. Not just that, but the app also allows users to choose the side of the screen to show the indicators. Tapet is a wallpaper app which changes your Android’s home screen and lock screen wallpapers automatically. 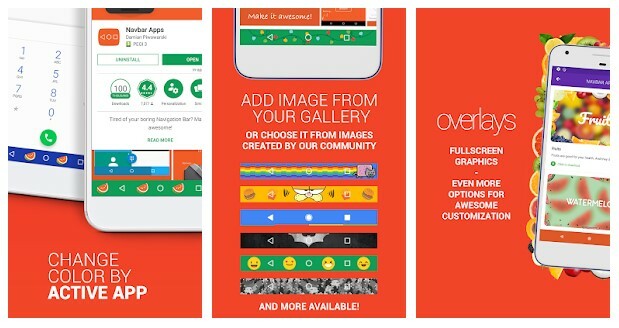 This is not actually a customization app, but it can help your Android look more beautify. The images are awesome and its available on the highest possible quality. The great thing about Tapet is that it claims that users won’t see the same wallpaper twice. is that it also offers add-ons which can expand the functionality of the app. Well, Keyboard apps are another thing that you can consider to customize your Android device. Just search for Keyboard apps on the Google Play Store and you will find tons of apps over there. Some of the Popular keyboard apps like SwiftKey Keyboard, Fleksy, etc can really improve your keyboard typing experience. Not just that, but most of these apps offer a wide range of keyboard themes which looks great. To fully customize your Android smartphone, you need to have wallpapers, ringtones, app icons, and notification sounds. To get all those, you need to install Zedge. It’s basically a download portal from where you can download icon packs, live wallpapers, wallpapers, widgets, ringtones, notification sounds, etc. So, Zedge is another best Android customization app that you can use right now. 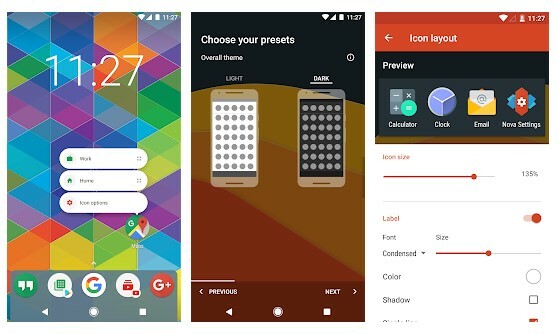 So, these are the 10 best apps to customize your Android in your own style. If you knew any other Android customization apps like these, then make sure to drop the name in the comment box below.